Dehydration happens to an individual when one loses water more than what one takes in. Our body necessitates an adequate amount of water or fluid to help the body regulates temperature through various excretion processes like sweating, peeing, and eliminating other body wastes. The adverse effects of dehydration also depend on its severity – when mild, it may not even be felt but when extremely severe, it may result in the death of a person. Decreased Ability to Feel Thirst. Various factors contribute to this fact. Among these factors which make an elderly feel thirsty less often is their weakened senses and their physical inability to get up and drink water on their own. Medications. At present times, almost every person who ranges from sixty years and above already maintain a medication to keep being healthy and physically capable or to at least suppress the symptoms of various medical conditions. Unfortunately, some medications cause excessive fluid loss through sweating or other means which lead to fewer amounts of fluids in a senior’s body. The Problem in Kidney Function. The kidney also undergoes the normal wear and tear. Can you imagine how many times you drink and pee in your lifetime? If you can’t count, it only signifies that your kidney is used exhaustively and if it functions improperly, the body becomes less capable of conserving fluids. 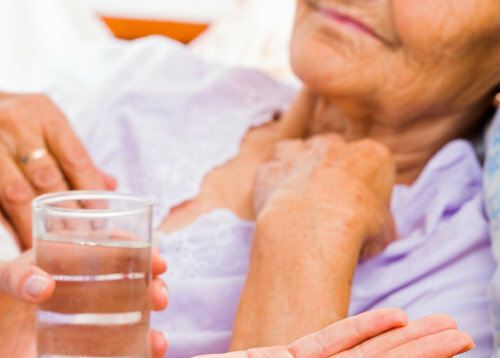 How can you counter or prevent the effects of dehydration among your senior loved ones? Simple, you have to hydrate them by ensuring that the fluid levels in their body remain at an adequate level. First, you should make sure that the elderly appreciates their necessity to drink water more often. To reduce their necessity to move, you can always keep a water bottle near their birth. In fact, this is also practiced by most providers of Home Care in Louisiana. Also, if you are away from home in most hours of the day, make sure to stock a wide variety of beverages or a large amount of water in your fridge or kitchen so that your elderly loved ones could immediately take them whenever they need it. This entry was posted in Home Care, Home Health Care and tagged Healthy Senior Life, home care in louisiana. Bookmark the permalink.